Have some DVD movies and want to rip them to your computer's hard drive? There are many instances wherein you may need to copy the entire content of a DVD disc into your hard drive for safe keeping. Look no further! This guide will present you two simple and reliable methods to back up your DVD movies to hard drive in both Windows (Windows 8 included) and Mac. You can do this for movies too. 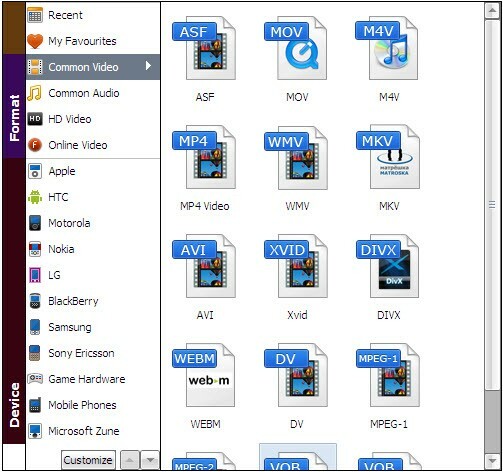 All you need is the software that can either convert the DVD movie into a playable format on your computer or the one that can create a DVD image file to be stored on the computer. To copy DVD to hard drive as videos, you need a DVD ripping tool. Here Aimersoft DVD to video converter is highly recommended to help you rip your favorite DVD movies to your computer's local folder as video files in MP4, AVI, MOV, WMV and more with fantastic output quality and lightning conversion speed. In addition, it comes with a built-in video editor that allows you to trim, crop, rotate DVD, etc. so as to get the very part and effect you want. If you're using a Mac, just get the equivalent Mac version called Aimersoft DVD converter for Mac to save your DVD to computer's hard drive on Mac OS X (Mountain Lion). Download the right version and follow the steps below to copy DVD to computer with ease. Insert the DVD disc into your DVD drive and click "Load DVD" to select and import the DVD movies you want to rip to your hard drive. Click the "Profile" drop down list to select the output video format. Various formats are available. Simply doubly click the one you prefer. When all the settings finishes, click "Start" to begin ripping DVD movies to your computer's hard drive. After the conversion, click "Find Target" to get the converted videos and play them anywhere you like without any limitations! 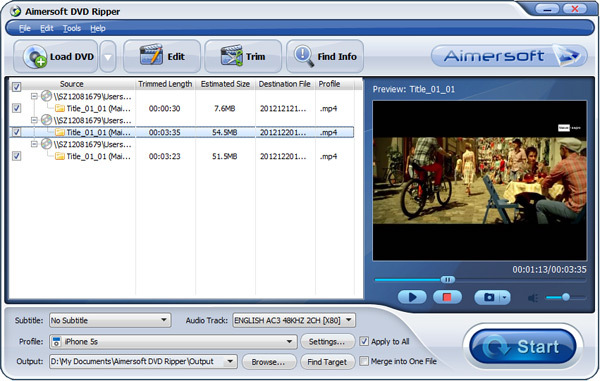 To copy DVD to your computer's hard drive as a DVD folder or an ISO image file, Aimersoft DVD Copy is the best choice. With it, you can transfer DVD files to hard drive effortlessly. Mac users can just get Aimersoft DVD Backup for Mac. 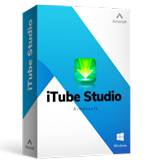 Download it and check out the tutorial below. Select the DVD movies you want to copy, choose an output folder and copy mode, then start to copy DVD to your computer's hard drive. When all the settings are OK, click "Start" to begin the copy process. Here is the video tutorial about copying DVD movies to computer.